Police are still searching for Rotherham woman Alena Grlakova who has been missing since Boxing Day. As the investigation continues, he’s everything we know so far. -The 38-year-old was last seen at 8pm on Boxing Day when she left the Travellers public house on Rawmarsh Hill, Parkgate. - The search is now entering its sixth week. -Temporary Supt Iain Chorlton said a team of around 30 officers and detectives were working to find Alena. -She entered the Travellers pub at around 6.30pm and sat a table when she was joined by an ‘unknown stocky man’. -Temp Supt Chorlton said she had a chat with the man for around 20 minutes before leaving the pub but it was ‘unclear’ whether they left together. - Alena is from Slovakia and was reported missing by her family there, as she was due to return home. 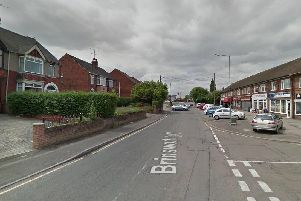 - Officers are currently investigating whether she made her way to the Fitzwilliam Arms later that evening, following information received from members of the public. - The information suggests she may have also asked for a lift from the pub.